Mansfield ISD is hosting its third annual Innovation Conference. This year’s theme is focused on early childhood education and will feature the research and plans that resulted in the Dr. Sarah K. Jandrucko Academy for Early Learners facility. 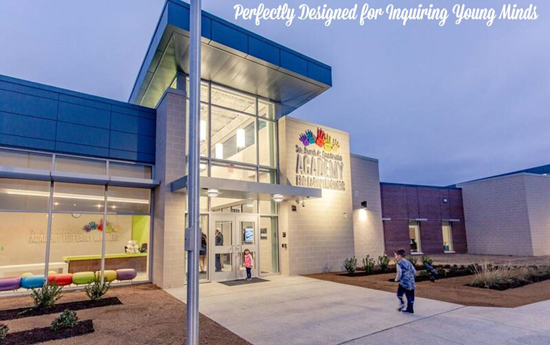 The event will give attendees an opportunity to explore this one-of-a kind facility and engage in conversation with other leaders around the state around the topic of Early Childhood Education. The intended audience is district level administrators. The event will include a tour of The Academy, history and research behind the creation of this unique facility and techniques/tips on how to provide experiential learning and instructional strategies for early learners. Lunch will also be provided. The deadline to apply is Thursday, April 18. Have questions? Please contact Christie Alfred at ChristieAlfred@misdmail.org or 682-314-1676.